Hello CD Forum! I am passionate about art and want to learn more. This is my latest work. I am still learning my way around this craft, so please feel free to heavily critique my work. Hey man, welcome to Crimson Daggers! :) Its look like you are off to a great start, just keep building that momentum. It's good to see you are doing a blend of traditional and digital. I'd don't have a great deal of advice right now, but one thing I'd suggest is to work on building a sense of form and volume in your paintings and drawings. Some of them seem a bit flat right now. I'm guessing it comes down to rendering and shading but I don't know how to do that myself yet. LOL So I can't be much help there, sorry! What a standard to set. 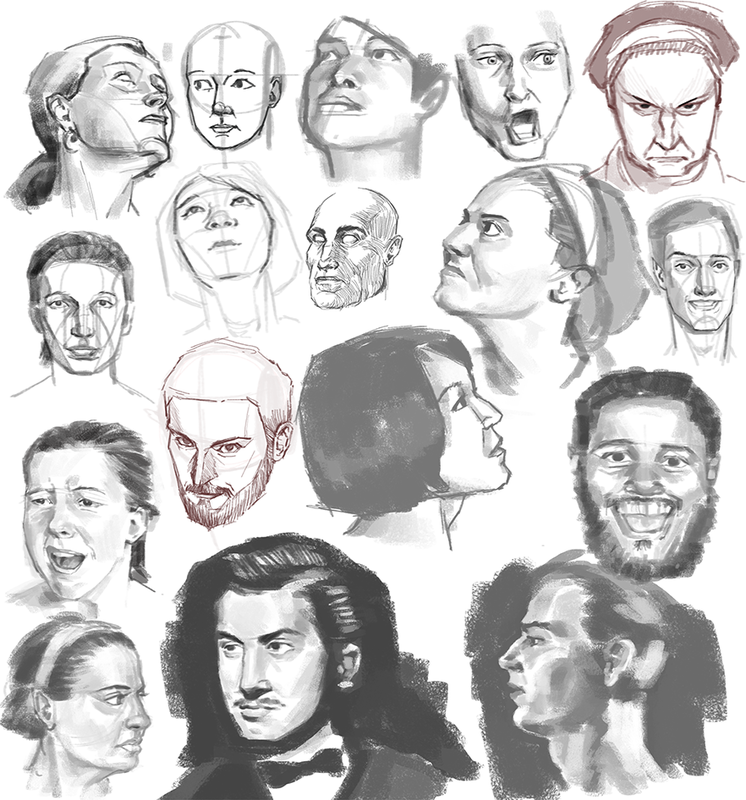 The few faces I drew today fall short of the bunch you've punched through. 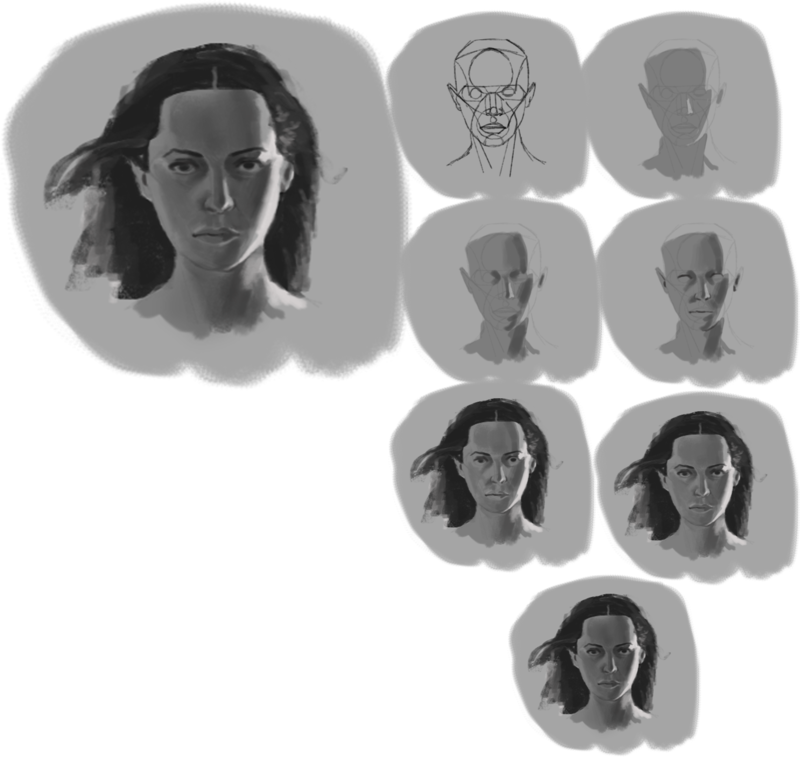 Good work, I look forward to how your fully rendered faces turn out. 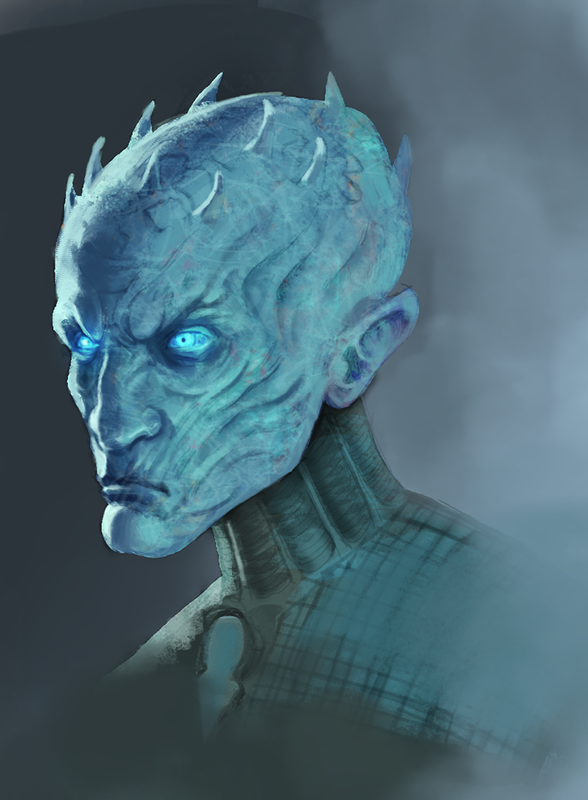 It looks like the base drawing of those recent faces are quite strong but then the rendering is done with a fairly grainy texturing rather than finer hatching. That could be an area to strengthen, finer rendering. Who's been looking at My Sketchbook? 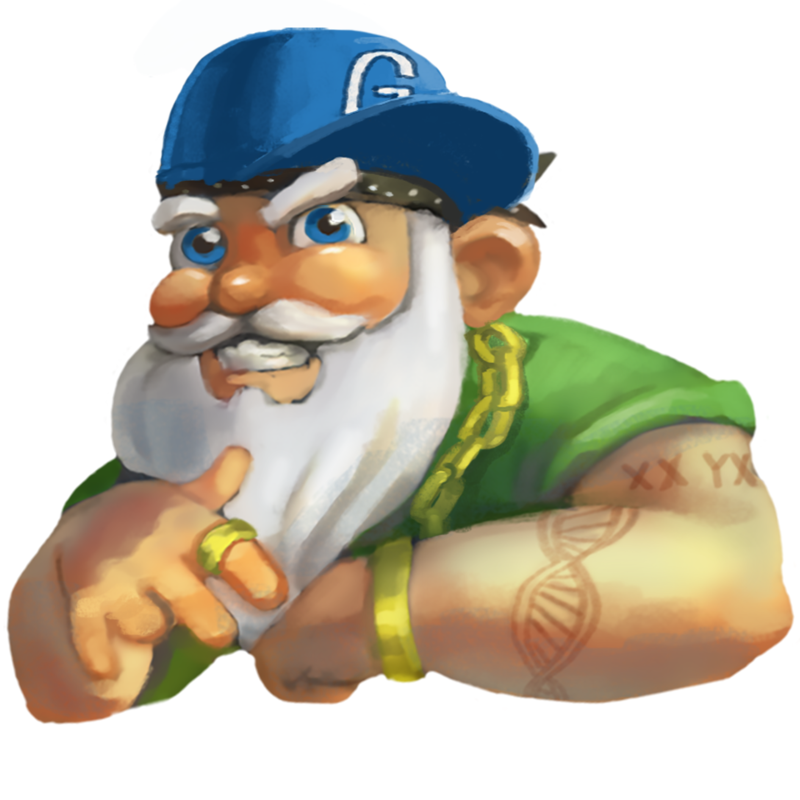 (04-23-2016, 08:05 PM)Sagittarius-A-star Wrote: Hey man, welcome to Crimson Daggers! :) Its look like you are off to a great start, just keep building that momentum. It's good to see you are doing a blend of traditional and digital. Thanks for the welcome. I have big issues with rendering, i am still tryingto learn how to do that better. I do most of my studies on paper (except color) because it feels that i learn more. I am very proficient in photoshop so the transition is easy for me. Hey Alex, thanks for dropping by my SB! :) I'm gonna keep up with those abstract shape studies for a bit for sure. I learned a bit from doing them. 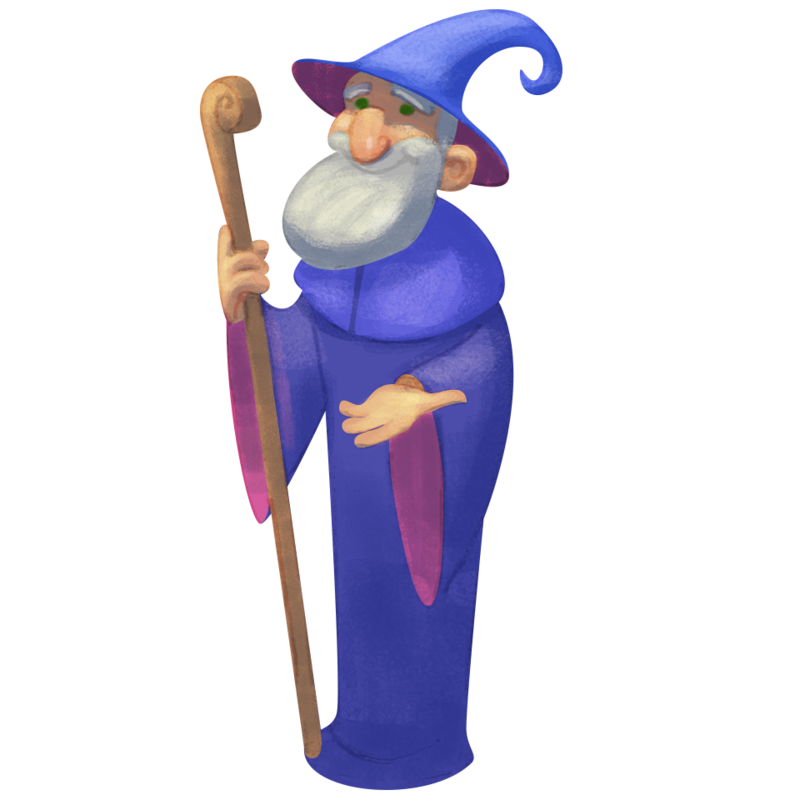 Quote: I have big issues with rendering, i am still tryingto learn how to do that better. I do most of my studies on paper (except color) because it feels that i learn more. I am very proficient in photoshop so the transition is easy for me. I think we do learn more from traditional, especially at first–it forces us to really draw and not rely undo and fancy digital tricks. Then we can apply what we learned to digital. I prefer to draw a lot in felt tip pens 'cause they really force me to think before I draw. 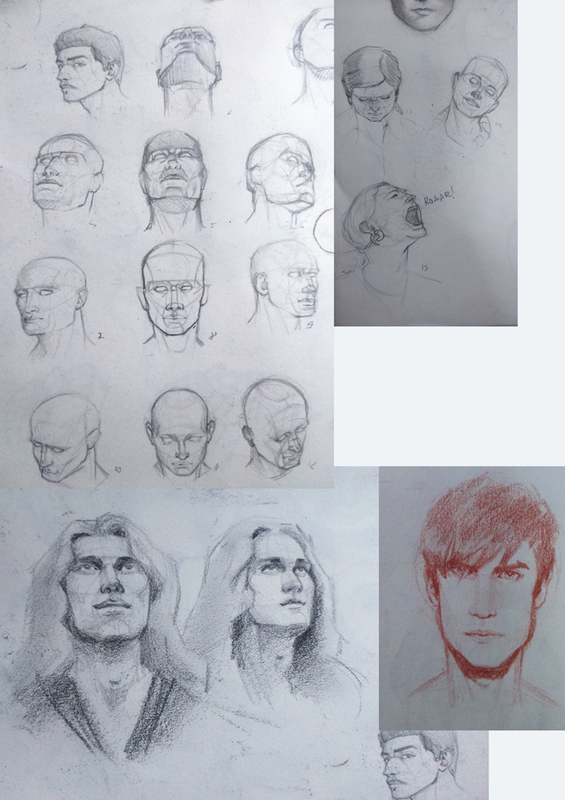 Nice work on the head study. There are a few things I'd suggest, though. It looks like you are drawing from a photo portrait. You should keep in mind that many photos have terrible lighting for drawing. All the light comes straight head-on at the face, the face is usually turned towards the camera, and you get a lot of very bright highlights. It's a boring lighting scheme and tends to destroy form, which is what we want to express in our drawing. It looks like you did a good job drawing from the ref, but you preserved the refs bad qualities as well in your drawing! So, I suggest getting your hands on some Loomis books, that guy drew like a champ. http://www.alexhays.com/loomis/ He talks about this problem with photos. He recommends drawing from life and using ref that has good light and shadow. And his books are just chock-full of great knowledge. If you look at his drawings, you will see how he used strong lighting and shadow to define form. Looks much better than photo portraits. 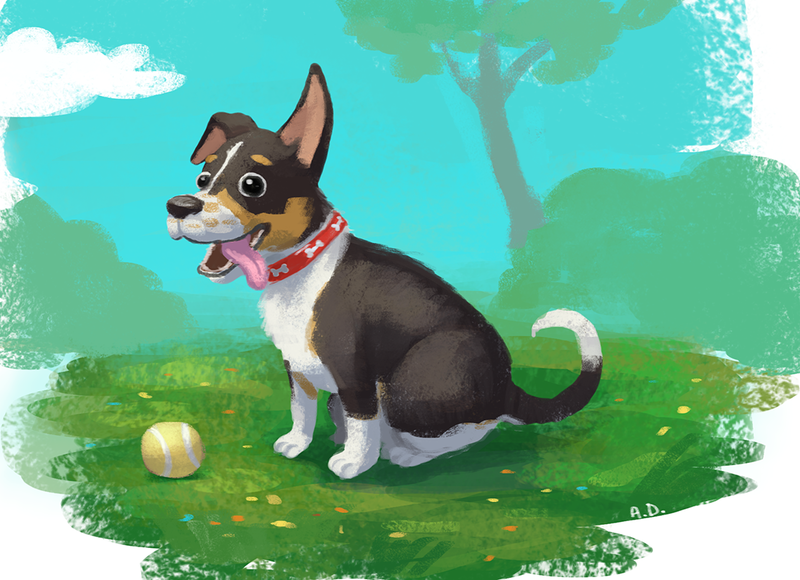 :D Drawing from life tends to be the best, really. Anyway, that's what I would do. ^^; Be careful with what photos you draw from! Yeah, i always have trouble finding a good ref. THis one i found in a magazine, it was the only one that was better lid. I've studied loomis a lot, but i still have a long way to go. 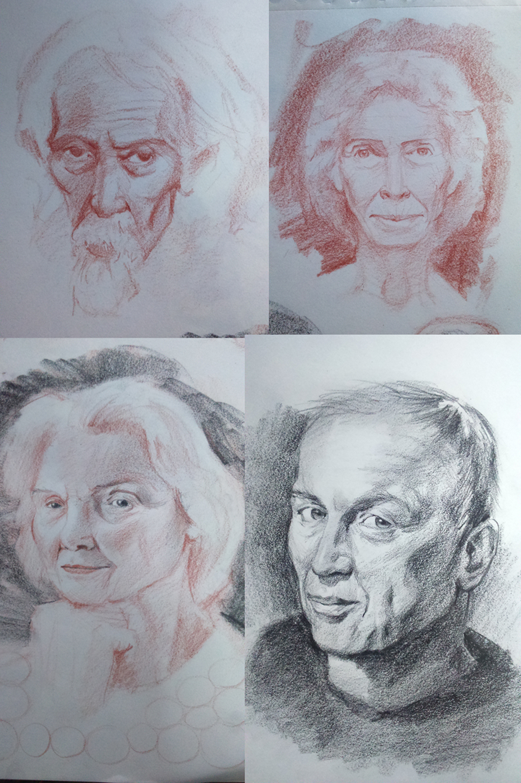 Been doing portrait studies for 2 month now. When may hits, i will be starting with the torso. really want to up my anatomy, at least a little. Nice sketchbook, I like the last study you post. (04-26-2016, 12:18 AM)Lussios Wrote: Nice sketchbook, I like the last study you post. Here is a WIP. 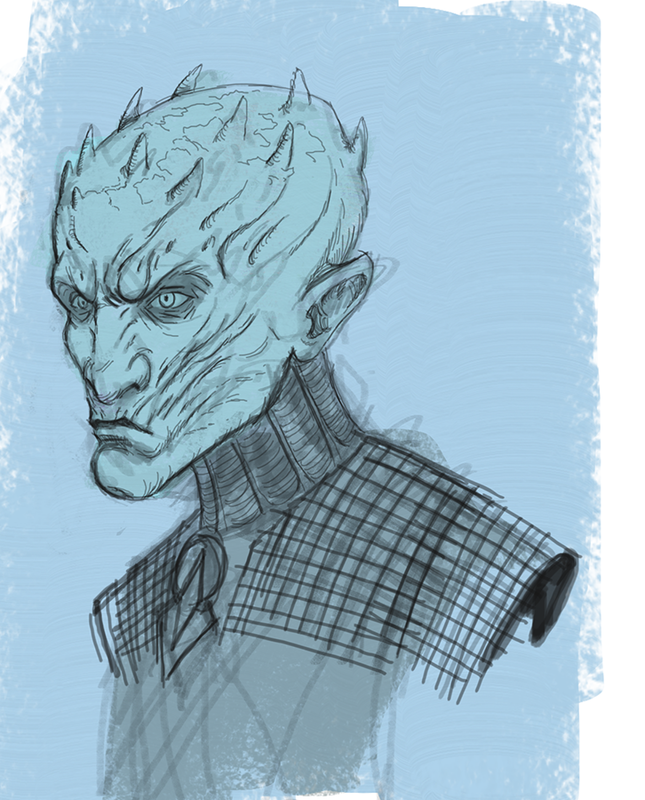 Making it for a GoT contest to win some GoT Merchandise. All in good fun! As an exercise you should try some Asaro heads, or even drawing symmetrical objects. Learning some box construction in perspective, so get into a little bit of a technical approach if you will, because if you learn how to draw a box at any angle, you can then put the human head in a box and draw it at any angle. And another thing you should try is flipping the image, or looking at your drawings through a mirror so you see them horizontally reversed. You'll instantly spot mistakes. Like the portrait on post #11, the one Lussios likes, try to draw the vertical axis on the middle of her face, through the tip of her nose and see that the lips don't really align properly. When you did the construction it seems you were aware of the axis and placed the lips in a correct position (almost, lips still seem a little bit too long on the left) but when you rendered you lost the construction, so be careful to always have those axis in your mind no matter what stage you're on. (04-28-2016, 07:08 AM)walent Wrote: A fellow Romanian. Cool! Thanks for the feedback! 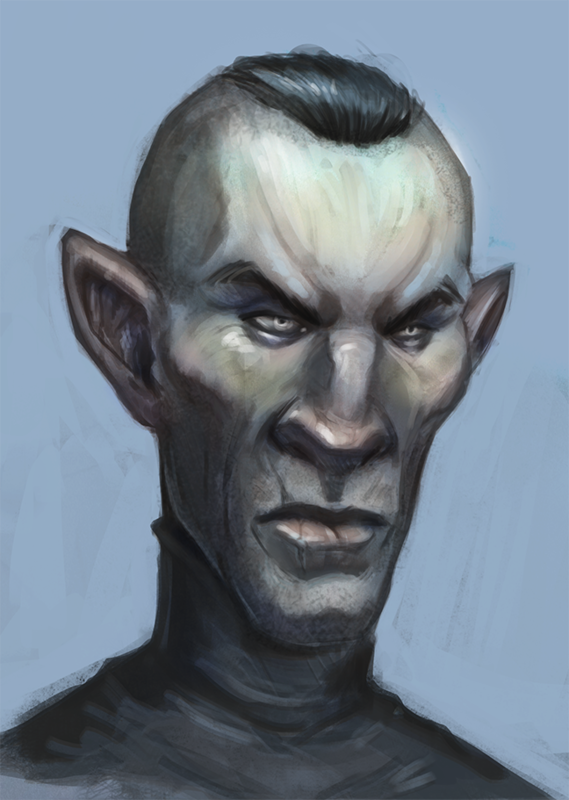 I will try to practice more from asaro's head. I wonder if i can find it in stores in Romania. I will practice more on the head, but not right now, this coming month i plan on starting to learn a little about the torso. Hey I know that guy from Proko's portrait class! You can find him in my SB, too! Good work on faces. As for Asaro heads, until you buy one you might try photos under different angles in @Brushnoir's blog http://www.brushnoir.com/free-asaros-hea...e-pack-v2/ and there's a free 3d model on DA http://adam-fisher.deviantart.com/art/As...-340299173 Shamefully, I haven't used anything of that yet :) And more work on perspective must help you, too! Looking forward to see more stuff here! 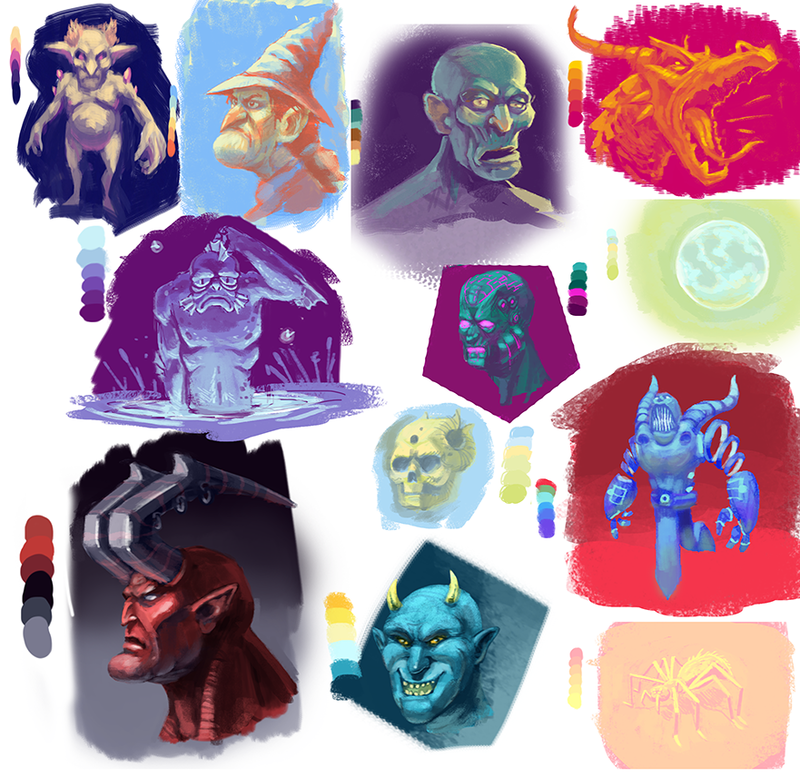 here are some color studies i did then and now. Hi ^^ thank you for visiting my sketchbook. 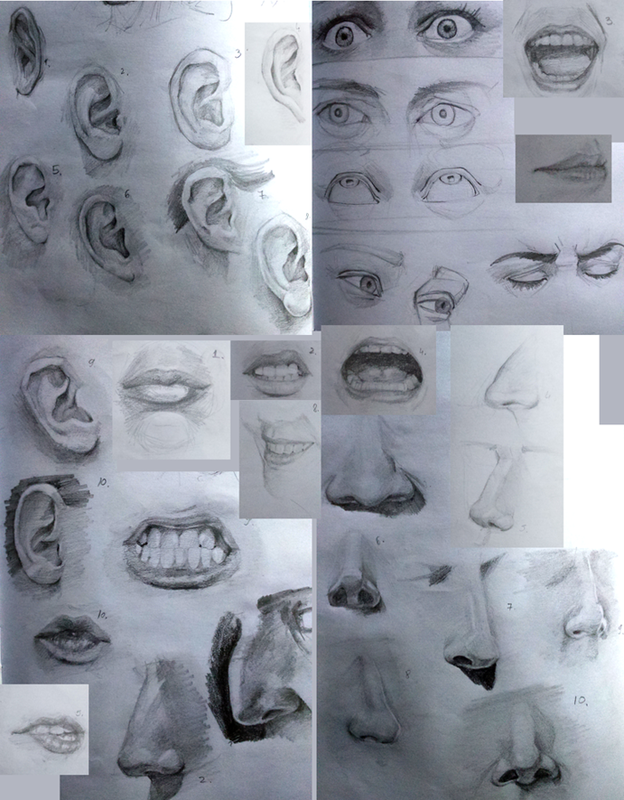 You have some very impressive mouth and nose studies ^^ keep it up like that. I see that people already wrote everything about proko and other resources so I won't repeat them. Can't wait to see more studies from you.